To make chapatti style flatbreads, Simply mix with water and seasoning to make a smooth dough, then roll out into flat round discs. Brush with oil and shallow-fry each chapatti in a non-stick pan. There's no VAT charged on this item. Not what you're after? Try looking for more in the category Flours & Bread Mixes. Chick peas, yellow split peas, maize flour. For allergens, see ingredients highlighted in bold in the ingredients list. Although we make every effort to ensure this information is correct and accurate, we cannot be held liable in instances where it is incorrect. Gram flour is milled from chickpeas, and is widely used in Indian cuisine for making pakora and bhajis, it is also useful for thickening soups or sauces. Keep in a cool dry place out of direct sunlight. Once opened, store in an airtight container. Product information and photographs are for general advice and illustrative purposes. From time to time packaging, recipes and ingredients may vary and change and the information on this site may not be as up to date as we would like it to be. Have you noticed that this information is out of date or inaccurate? If so, please let us know at prodinfo@suma.coop and we will do our best to update it. Please always check the details on the packaging before using; this is especially important if there is a possibility of an allergic reaction. Manufacturer's information contained on packaging and promotional material is provided for information only and does not represent the views of Suma. 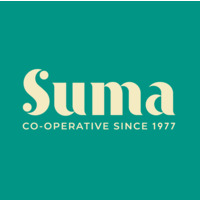 For further information on product information, please contact our customer information team on 01422 313845 or info@suma.coop. We make every effort to ensure that our prices are correct right up to the minute, and we aim to have our web prices up-to-date 100% of the time. However, there may be occasions when there is a delay in updating our web prices. For that reason, prices quoted on the website are for guidance purposes only. With the exception of items ordered and sold individually by weight (e.g. some cheeses), the price you will be charged for the goods will be as quoted in the order acknowledgement email you received after placing the order, subject only to any inadvertent technical error for which we will not be liable. For more information, see our Terms and Conditions.